Ecuador offers a wide range of experiences beyond the world famous Galapagos Islands. 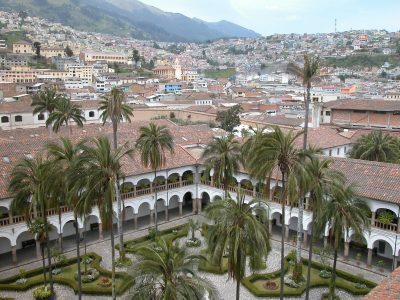 This country allows you to explore natural wonders of the Amazon, volcanoes and hot springs at Papallacta and colonial cities such as Quito and Cuenca just to name a few. Start in Quito, the capital, and be stunned by the views of the Pinchicha volcano from most areas of the city. On a clear day, you can also see Cotopaxi – the second highest peak in Ecuador which is south of the city. The capital has traditional markets you can explore, delicious cuisine and easy access to the surrounding mountains. Quito is also well located for access to nearby explorations like the famous markets of Otavalo or a visit to the equator where you can stand in both the northern and southern hemisphere at the same time. 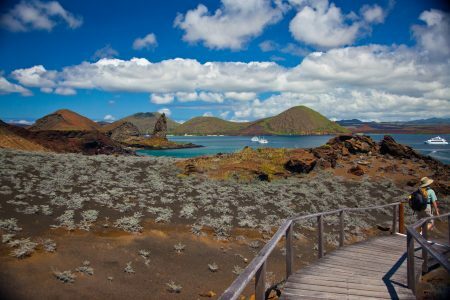 The Galapagos Islands, while not the only incredible experience in Ecuador, are definitely the top draw to the country. The islands have an abundance of unique flora and fauna that are on many travellers’ bucket list. These volcanic islands are off the coast of Ecuador and there are two key ways to travel here. You can visit on board a cruise ship or you can base yourself on an island and take day trips to explore additional islands. Below is an overview of the different travel options so you can decide which suits your style. Don’t hesitate to get in touch for a further explanation or to answer any questions you may have. Island hopping is a great option for travellers who are prone to sea sickness and who prefer to have more flexibility and freedom while on the islands. Evenings on land mean you have choices of restaurants, going for walks and exploring the small towns as opposed to being on board. With no set departures, you can arrive and depart on any day the fits with the rest of your itinerary. Cruising is the ideal option for those that want to explore smaller islands that are further out from the main islands as these can only be reached via multi day cruises and not day explorations. For travellers that love the ocean and don’t have issues with sea sickness, this allows maximum time on the water and visits to outer islands. No matter how you decide to explore the Galapagos, you’ll see a range of wildlife on your journey. Charles Darwin Station has different species of giant tortoise to see up close. You can swim and snorkel with sea lions, sea turtles, marine iguanas, penguins, rays and different species of tropical fishes. In addition to the many marine animals, there is incredible bird watching opportunities. On the islands you’ll have the chance to see Darwin’s finches, blue-footed boobies, pelicans and frigate birds among others. You can experience the Amazon from a variety of countries in South America including Ecuador. 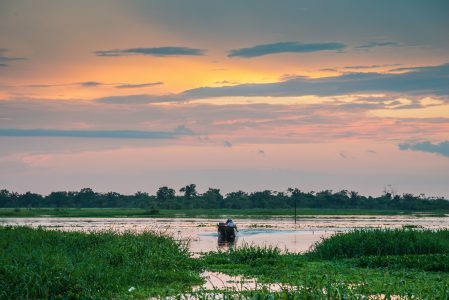 The Amazon is biologically abundant and this part of the rain forest is home to more than 600 species of bird, 170 species of mammals as well as 120 species of amphibians and reptiles. Given the proximity and complimentary activities, Peru and Colombia both provide a fantastic combination with your Ecuador travel experience.